Patty Wilson Sloan, age 76, of Somerset, Kentucky, passed from this life on Sunday, January 14, 2018 at her home. She was born February 2, 1941 in Alpine, Kentucky, daughter of the late Ellis and Edith Hoff Wilson. Patty was a homemaker and a member of Neely’s Creek Baptist Church, where she was the former youth leader and pianist. 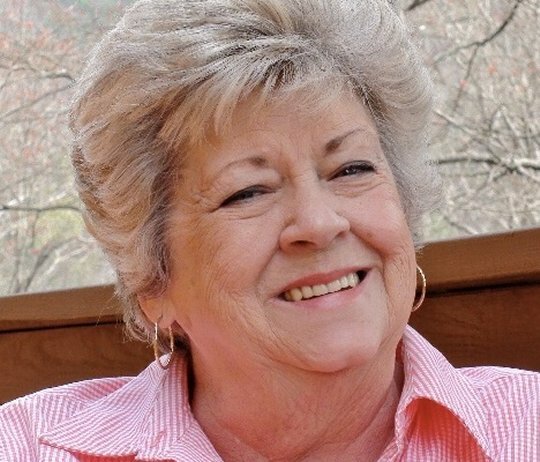 She was an avid golfer and she loved spending time with her grandbabies. She was preceded in death by her parents and a brother; Ronnie Wilson. She is survived by her beloved husband; James Keith Sloan, two sons; Kerry (Rachel) Sloan and Mark (Cindy) Sloan, all of Somerset, four grandchildren; Kelsey Sloan, China Sloan, Abby Sloan and Nick (Sammi) Taylor, one great-granddaughter; Savannah Sloan, nieces; Amy (Keith) Thompson, Nancy Sloan and Cindy Dyer, and nephews; Jerry Sloan, David (Vicki) Sloan and Allan (Marie) Hopper. Visitation will be after 4:00 p.m. on Thursday, January 18, 2018 in the Chapel of Southern Oaks Funeral Home with funeral service to be held at 7:00 p.m. at the funeral home with Bro. Scotty Nix officiating. Burial will be in the Neely’s Creek Cemetery. Southern Oaks Funeral Home is entrusted with the arrangements of Patty Wilson Sloan. Kerry & Rachel: So sorry to hear about your Mother, She did what she wanted to do and how she wanted to do it. Very strong-willed person. (Her son definitely takes after his mother-Kerry). Keeping you in my thoughts and prayers. I know it is difficult. So sorry to hear of your loss. Your family is in our thoughts and prayers. May God comfort you during this difficult time. Keith and Mark and Slone family. We are so sorry for the passing of Pat. We thought a lot of you guys. My prayers is with you at this time . Iam so very sorry for the loss of Patty. Lyonel, Charlena and I loved her very much. You and your family are in my thoughts and prayers. We know now that Patty is in Heaven with Ronnie and Lyonel and the rest of our loved ones. May GOD wrap HIS loving arms around you and comfort your hearts. Charlena and I love you very much.